Managing a parking garage requires that the lighting is adequate to maintain a safe environment for your patrons. How do you know if you have poorly lit areas within your structure? Using Monnit WIT Wireless Light Sensors can ensure that your facility parking garage is maintained as a safe environment. Monnit wireless sensors can measure the amount of light in a set area and alert you if the lighting conditions are poor, signaling that you may need to change lightbulbs or fix lighting. The system also tracks and stores your sensor data providing a detailed report as well as spreadsheet export functionality. Ensure that your parking garage is kept safe by using Monnit wireless sensors. Ensure safety, with Monnit wireless sensors. Did you know that you can calibrate a wireless temperature sensor to make it more accurate for your application? The Monnit wireless temperature sensor is accurate to +/- 1°C (1.8°F) and calibration to the sensor’s working environment provides even greater accuracy. To calibrate your sensors, open your favorite browser and login to your iMonnit account at www.imonnit.com. 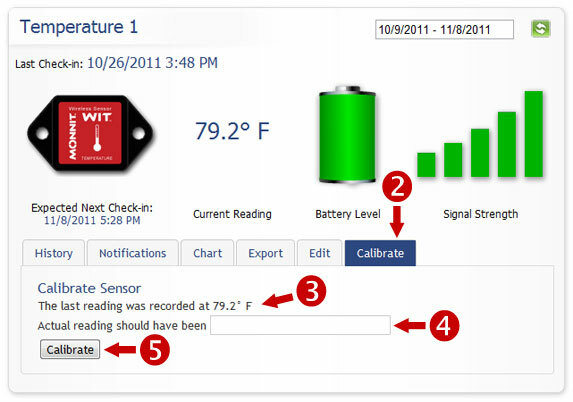 Once logged into the system, go to the “Sensor List” panel and click on the name of the temperature sensor you want to calibrate. 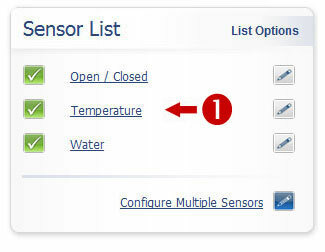 From the sensor information window, click on the Calibrate tab. Make note of the last reading the sensor returned. Enter the actual temperature that the sensor should have returned. 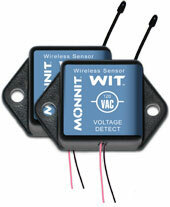 Monnit is proud to introduce two new sensors to our line of low cost wireless sensors. The 120 VAC Voltage Detector notifies of the presence or absence of electricity. It is intended for use on power outlets or power supplies up to 120 VAC. The 500 VAC/VDC Voltage Measurement Sensor is an analog measuring device that reports the measured voltage on user specified intervals. Both of these new sensors are available for purchase through our online store.